I want to make school an exciting experience for your child, one that they will look forward to each day. I plan to incorporate activities that will enrich your child’s life and motivate them to want to come to school. 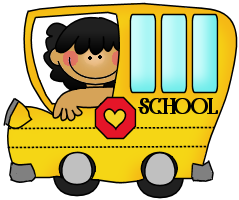 It is important that your child attends school every day and I ask that you arrive on time. I have listed below highlights of our district attendance policy. For more information visit the CPS home page on the sidebar. LATE ARRIVAL: Students arriving before 9:30 will be marked morning tardy. Students arriving after 9:30 will be marked as half-day absent. DISMISSAL: The 2:30 bell signals general student dismissal. Please send a note if your child will be going home with a friend for a play date. Students that are not picked up at the dismissal door will be brought to the office to wait for you. Please call the office if something unexpected has delayed your arrival. First graders become very worried when their grown-up is not on time. EXCUSED ABSENCE: The district has 6 types of excused absences; illness, observance of a religious holiday, death in the family, or family emergency, circumstances which cause reasonable concern for child’s safety, other situations beyond the control of the student. Your child must bring a signed note stating the date and reason for absence to be excused. .Should your child not want to come to school for any reason (anything from a problem with peers to anxiety about an activity or concern about routines), please contact me and I will see how we can make the situation more comfortable for your child.